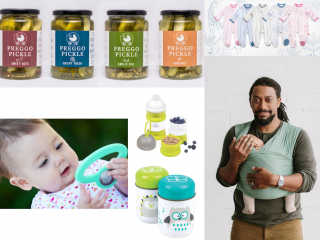 Since organic often carries a high price tag, Gugu Guru gets a lot of inquiries from our registrants about affordable eco-friendly baby registry picks AKA green products for parents on a tighter budget. We always say that one simple step you can take toward being better to our planet is just buying less for baby and therefore leaving a smaller footprint. 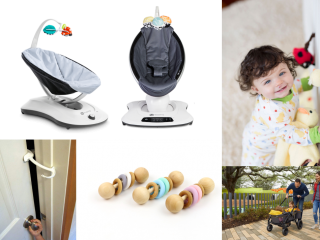 Affordable Eco-Friendly Baby Registry Stroller/Carseat Combo Pick: For active parents on the move, we recommend the Britax B-Agile and B-Safe Travel System. You can find this combo for $349.00 which is a steal! We love that Britax eliminates certain chemical flame retardants containing bromine, chlorine or other halogens, from all components used in its car seats and all other products — while still ensuring their ability to pass federal government standards for flammability. Additionally, Britax strollers are not treated with any chemical flame retardants. 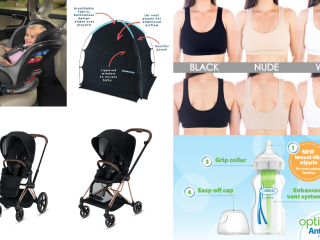 The B-Agile stroller is super lightweight, folds down very easily (also with one hand), and features a large canopy for sun protection (so it’s good for a lot of outdoor use) and a generous storage basket. Please note, it doesn’t give you the option to rear-face your child (unless using the car seat), so your baby will always have to face forward when using the stroller seat. The B-Agile is compatible with the Britax B-Safe car seats (and you can save nicely by buying the two together as a travel system set), as well as Chicco, Peg Perego, and some Graco Snugride car seats using an adapter. Affordable Eco-Friendly Baby Registry Organic Crib Mattress Pick: We recommend the Naturepedic Organic Cotton Classic 2-stage crib mattress ($299). 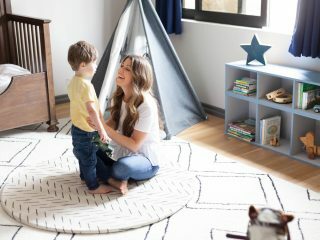 This mattress is slightly more expensive than your standard mattress, but worth the investment as it grows with the child and can be used for every crib sleeper in your family to come. Baby will (eventually!) 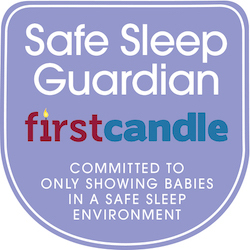 sleep 12-15 hours a day in his/her crib; making sure the sleeping environment is safe and healthy is one of the most important aspects of a nursery. 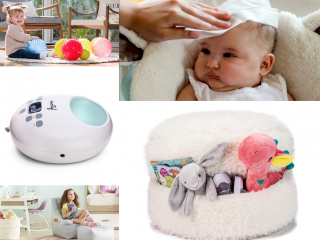 There is a firm side for infant, and a softer side for toddler comfort. 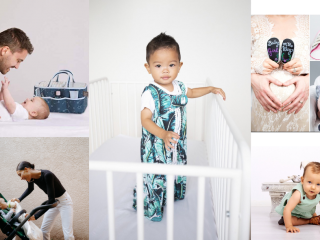 Affordable Eco-Friendly Baby Registry Diaper Pail Pick: The Ubbi Diaper Pail ($69) not only keeps in the lovely diaper smell, but also saves you money as you only use standard 13-gallon trash bags as a liner… no brand specific bags needed here. This eco-friendly pail is made of steel and comes in several different colors to perfectly match your babe’s nursery. Affordable Eco-Friendly Baby Registry Bathtub Pick: BPA, PVC, and Phthalate free, the Puj Tub ($45) fits right into the sink. Great for travel as it folds flat and can fit in your suitcase! Affordable Eco-Friendly Baby Registry Swaddle blankets Pick: Aden + Anais 100% Organic Cotton Muslin blankets ($54.99 for a 3 pack.) These blankets will be EVERYTHING to you from birth and beyond. The perfect swaddling blanket, you can also use as a breastfeeding cover or a light layer during walks. 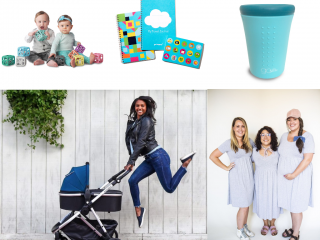 You will use these well into toddlerhood and beyond. Highly recommend these blankets as a must-have on every registry! 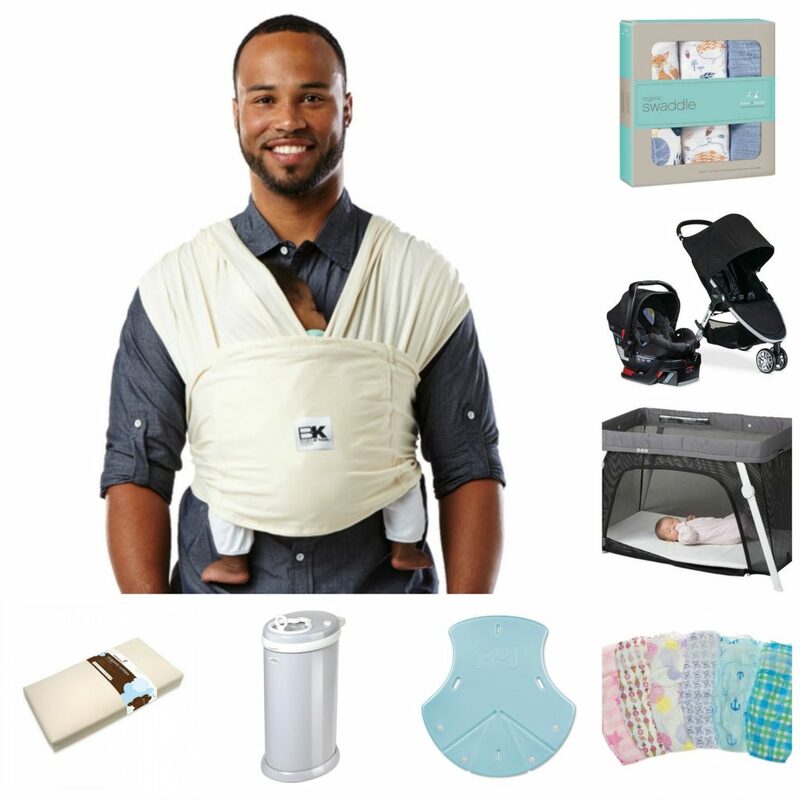 Affordable Eco-Friendly Baby Registry Eco-friendly & premium disposable diapers Pick: Honest Company Diaper Subscription ($79.99 per month + free shipping and option to auto ship and make changes to monthly order.) 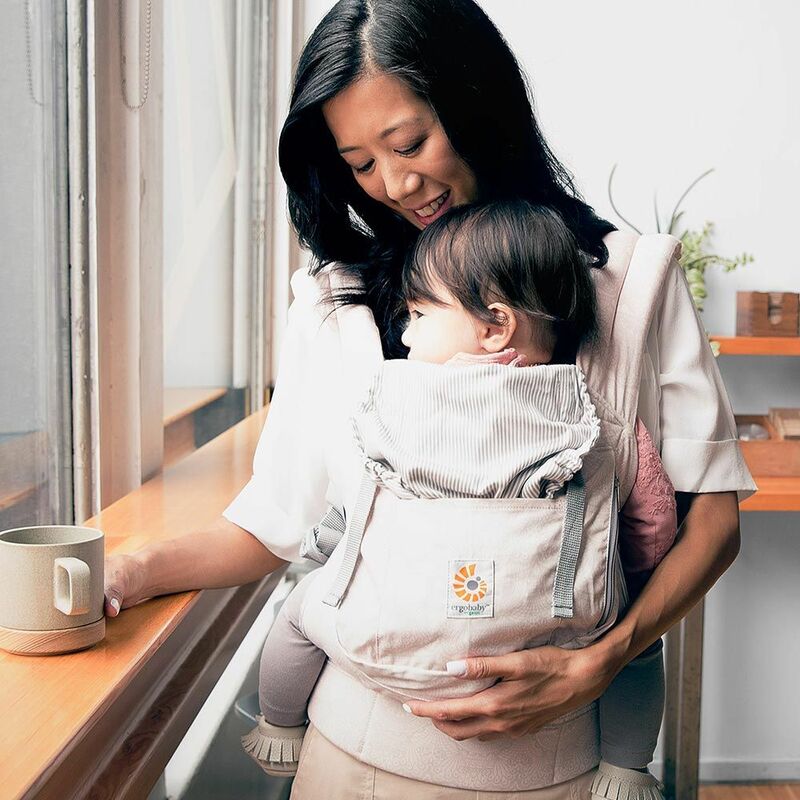 This hypoallergenic diaper is made with sustainable material that is super-absorbent, the core is made of fluff pulp harvested from sustainably managed forests. We find this a well thought out diaper that prevents most leakage and blowouts. Honest diapers are made without chlorine or bleach processing, without latex, synthetic fragrances or lotions. 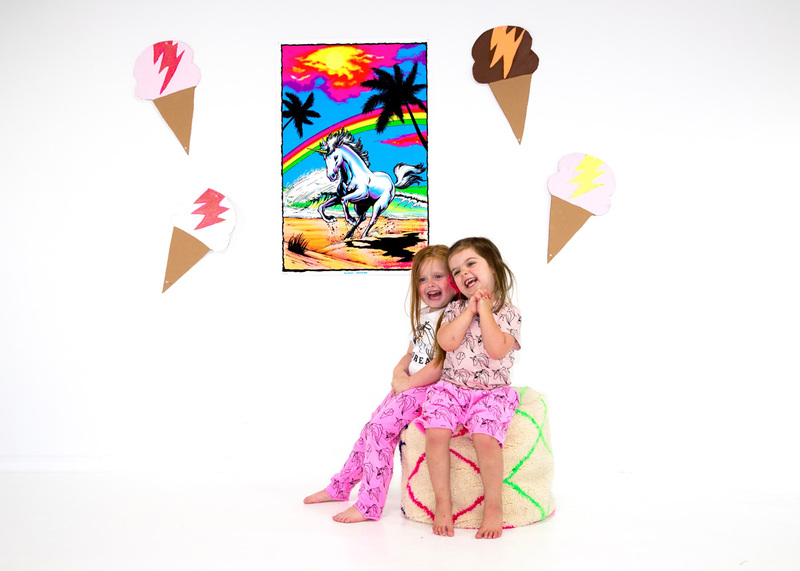 Not to mention, the prints are to die for! Your Milk Shoppe is a group of certified Maternity Consultants and Child Prep Educators. 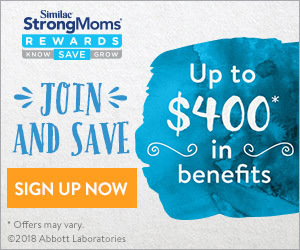 They affordable services to moms such as Parenting Classes, Baby Planning, Product Recommendation, Local Referral Partner Lists and Nanny Placement. The goal is to support and empower moms, while ensuring a seamless transition into their new life that is parenthood. Your Milk Shoppe is the milk that keeps the moms alive throughout their parenting journey – because moms need milk, too! Your Milk Shoppe has locations in Greenville, SC, Atlanta, GA, Charleston, SC, Asheville, NC, Charlotte, NC, Chicago, IL.